Nate Diaz is back at it again. Diaz is well aware of what transpired at the conclusion of UFC 229. UFC lightweight champion Khabib Nurmagomedov submitted Conor McGregor and then all hell broke loose inside the T-Mobile Arena in Las Vegas, Nevada. Nurmagomedov brawled with Dillon Danis in the crowd and “The Eagle’s” teammates brawled with McGregor inside the Octagon. Nate Diaz Has A Solution? Diaz was scheduled to do battle with Dustin Poirier in the co-main event of UFC 230 on Nov. 3. The action was set to take place inside Madison Square Garden in New York City. Poirier was pulled from the card due to an injury and Diaz said he’d wait for the Nevada State Athletic Commission’s ruling on Khabib Nurmagomedov before returning. Nurmagomedov and McGregor will await potential penalties from the NSAC. Nurmagomedov’s $2 million purse has been withheld while the NSAC decides what to do. McGregor has already received his $3 million purse. UFC president Dana White has said he hopes the maximum punishment for Nurmagomedov is a $250,000 fine and a four-six month suspension. MMA News will keep you updated on the latest details regarding Nurmagomedov’s standing with the NSAC as well as his teammate’s UFC status. 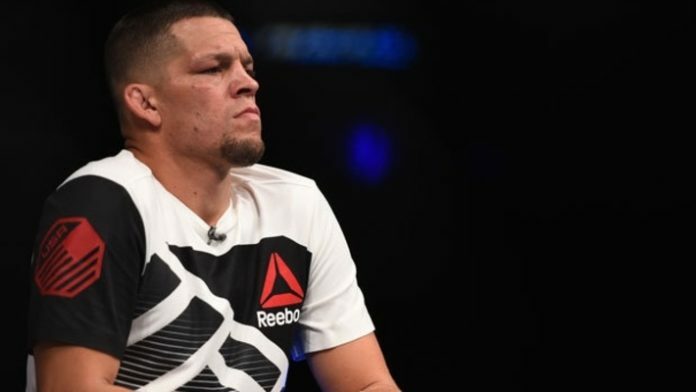 What do you think will happen with Nate Diaz next?